With the introduction of Bill S-214 to the House of Commons, Canada’s socially responsible consumers can anticipate the ban on cosmetic animal testing. Bill S-214, also known as the Cruelty-Free Cosmetics Act, aims to “prohibit cosmetic animal testing and the sale of cosmetics developed or manufactured using cosmetic animal testing”. For Canadians, this change has been a long time coming. More than 630,000 Canadians signed a petition calling for the demise of cosmetic testing on animals. Organized by The Body Shop Canada, the petition was one of the largest in Canadian history. Due to this unwavering support, the bill was passed by the Senate and now must be looked at by the House of Commons before it becomes a law. When the bill officially become law, Canada will join the European Union, Norway, Israel, and India in setting the standard for ethical cosmetic manufacturing and testing. In the meantime, get ahead of the legislation and check out these cruelty-free Canadian cosmetic brands. Nudestix: Hailing from Toronto, sisters Taylor and Ally Frankel teamed up with their chemical engineer mom, Jenny Frankel, to create the best-selling Nudestix. Easy to apply and wear, Nudestix is a collection of multipurpose makeup crayons for every step of your beauty routine. All products are preservative and parabens free, so you can feel confident in what you’re putting on your face. Inspired by no-makeup makeup, this brand strives to emphasize natural beauty! RMS: A supermodel favourite, RMS is a natural, organic beauty line born in Vancouver. After noticing the plethora of chemicals in beauty products and learning about the negative effects of this exposure, Rose Marie Swift (RMS herself!) set out to develop a product that is not only non-toxic but also nourishing. All RMS products are packed with raw, organic, food-grade ingredients and wrapped in biodegradable, recyclable, or reusable packaging! 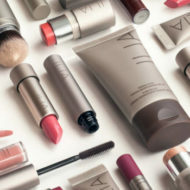 Ilia: Launched in Vancouver in 2011, Ilia Beauty grew from a simple collection of six tinted lip conditioners to 40 cosmetic pieces in the brand’s first two years. Ilia can attribute its success to its dedication to creating products that are pure and nourishing to the skin – our largest organ! All products are created with 85% bioactive organic ingredients and pack a punch when it comes to pigmentation. From their best-selling lipsticks to multi-use sticks, there’s a product for you! Bite Beauty: Founded on the idea that “what you put on your lips should be as good as what you put in your mouth”, Bite Beauty offers the highest quality lip products that are good enough to eat – literally! All products are created with all-natural, food-grade ingredients in the company’s hometown, Toronto. Not only are the formulas good for you, Bite Beauty products are known for their creamy textures and high-pigment colour so you will always look good too. 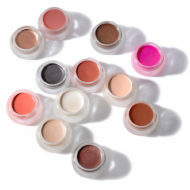 CoverFX: Champions of makeup customization, CoverFX was founded in Toronto. Frustrated at the lack of natural-looking, full coverage products on the market, Lee Graff, decided to create the product herself to help those suffering from skin conditions including acne, rosacea, and vertiligo. With 40 different shades and 3 undertones of their vegan formula, CoverFX is committed to diversity and inclusivity; therefore, creating products everyone can wear.